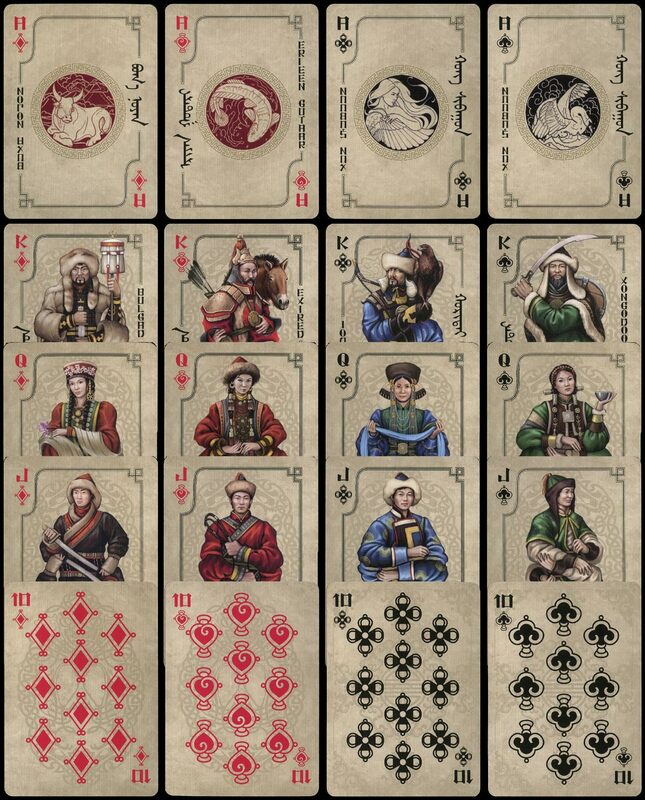 The Russian Playing Card Society issued a deck titled “Eastern” in 2015. This second edition, revised and improved, is dedicated to the ethnic Buryat culture. The Khongodor people, the Khori Buryats, the Bulagat and the Ekhirit tribes. Wnat do these words conjure up in your mind? Probably, the rustling grass of the steppe, the aroma of the Aya-Ganga thyme herb, the boundless blueness of the sky or the clatter of the fleet-footed horses? What mysteries of the Buryat tribes do the mighty Baikal Lake and the Holy mountains hide? 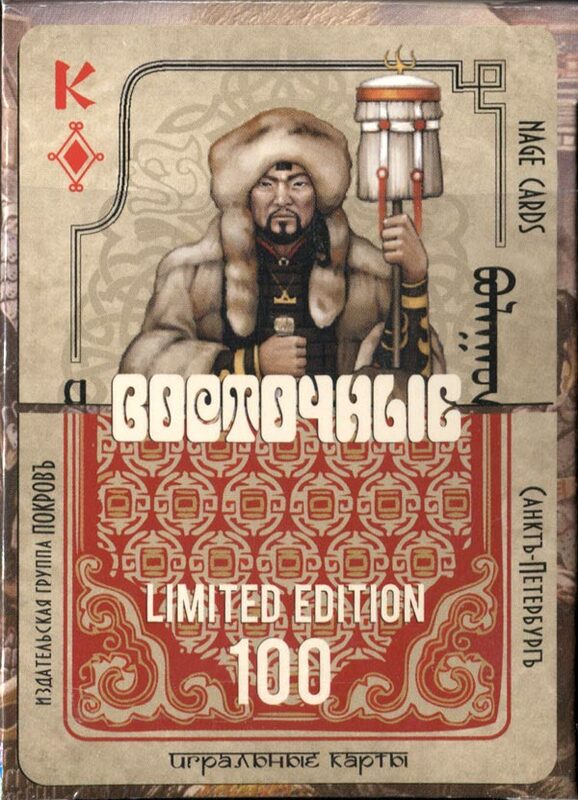 Above: “Eastern” playing cards dedicated to ethnic Buryat culture published by the Russian Playing Card Society and printed by Nage Cards (St. Petersburg), 2015. Images and notes courtesy Valentin Krasavin.